One of the best times to visit Mount Harmon and experience our plantation hospitality, history, and pristine natural surroundings, is at our annual special events. 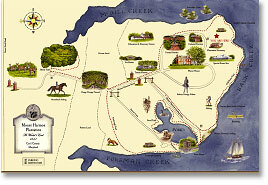 Mount Harmon special events celebrate our colonial and Eastern Shore heritage, and are not to be missed. Join us for Mount Harmon’s special events and help to support one of Maryland’s most beautiful historic sites. These events serve as important fund raisers that provide vital funding for Mount Harmon’s operations, maintenance, and visitor programs. Friends of Mount Harmon members receive invitations and discounts to Mount Harmon events. Memberships are tax deductible and help to preserve Mount Harmon. See specific event listings below for detailed event information. Click Here for Mount Harmon Special Event Series Sponsorships 2019. Please join us for the 6th annual Mount Harmon Earth Day 5K Cross Country Run/Walk Saturday, April 27 from 9am – 1pm. This event is in celebration of Earth Day and nature at Mount Harmon. The Earth Day 5K Run/Walk cross country course will traverse some of the region’s most beautiful natural surroundings and feature trails along Mount Harmon’s scenic and historic waterfront. Runners and walkers of all ages are welcome. The Earth Day 5K is a great way to enjoy springtime, explore nature, and celebrate Earth Day! Free t-shirt to all participants, awards, refreshments, Manor House Tours, Hearth Cooking, and Earth Day Exhibitors. Proceeds benefit Mount Harmon. 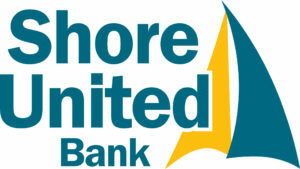 Click Here for Event Press Release. The Mount Harmon Lotus Blossom Art & Nature Festival features an array of nature-inspired Fine Artisan & Craft Vendors, Authors & Naturalists, Nature & Craft Activities for Kids, Plantation Wagon Rides, Colonial Re-enactors & Living History Demonstrations, Live Blue Grass Music, Local Food & Beverage vendors, Manor House Tours, and much more! Special exhibitors include the local Food Truck & BBQ Vendors, Kilby Moo Mobile, Crow Winery, Bayheads Brewing Company and bluegrass by the Chesapeake Drifters. Contact info@mountharmon.org for more information. Proceeds benefit Mount Harmon, a scenic and historic treasure. 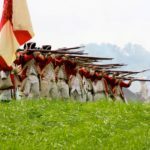 Mark your calendars for October 12 & 13, 2019 ~ Mount Harmon is hosting a National Revolutionary War Re-enactment & Colonial Festival featuring over 500 re-enactors, colonial craft vendors and merchants, and living history activities for the whole family to enjoy. Be sure to join us for all of the time traveling fun and see history come to life! This is the largest Revolutionary War Reenactment this fall in the Nation happening right here at Mount Harmon! 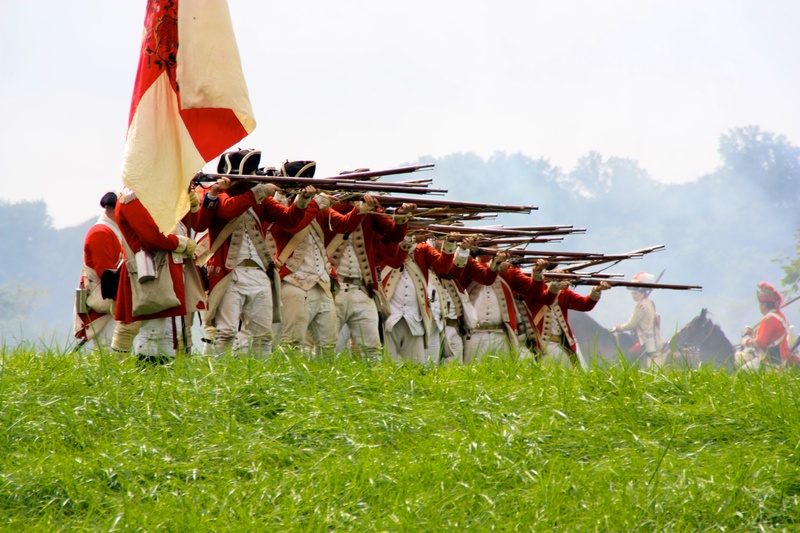 Each day will feature colonial merchants, military skirmishes and battles, tactical demonstrations and drills, and of course a full-fledged Revolutionary War Encampment of both British “Loyalists” and “Patriots” (the good guys, continental and militia groups) will be at hand. The public will be able to: tour the encampments, shop at the colonial market faire, enjoy children’s activities, hearth cooking and living history demonstrations, manor house tours, food and beverage vendors, and much more. Free parking & shuttle. Click Here for Revolutionary War & Colonial Festival Flyer. Click Here for Sutler Registration Form. Click Here for Continental Line Registration. Click Here for British Brigade Registration. This favorite fall event features a traditional Eastern Shore Bull & Oyster Roast, silent and live auctions, manor house tours, live bluegrass music, and more. Come and join in the fun and support this important fall fundraiser. Tickets are $70 pp, Tables of 8 are $500. Click Here to purchase Bull & Oyster Roast Tickets. Click Here to purchase Bull & Oyster Roast Table of 8. A unique opportunity to ride through one of Cecil County’s most treasured historic plantations on the banks of the Sassafras River! 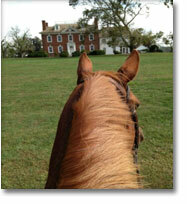 Walk/trot/canter on 6 – 7 miles of scenic, marked turf trails with natural log jumps (all optional). Start anytime 10am – 1pm. Get jump start on registration ~ download and bring these forms filled out to hand in at Paperchase registration. Get into the holiday spirit at Mount Harmon’s Yuletide Festival. 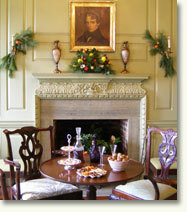 The Yuletide Festival features holiday decorations inspired by Colonial Williamsburg, hearth cooking demonstrations, Children’s Holiday Craft Activities, and Holiday Decorations & Greens Sale. Visitors enjoy hearth cooking demonstrations, hearth-made gingerbread and Wassail Punch in the Colonial kitchen, and Children’s Holiday Craft Activities in the Education & Discovery Center. For additional Event Information, Sponsorship and Advertising Opportunities, Media Coverage and Press Credentials call FOMH at 410-275-8819 or e-mail Paige Howard at phoward@mountharmon.org. Mount Harmon Plantation, a scenic and historic treasure.